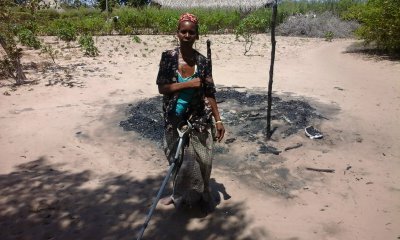 Mel and Mandy will be returning to Mozambique in early February after returning to the UK for Mandy's fathers funeral. 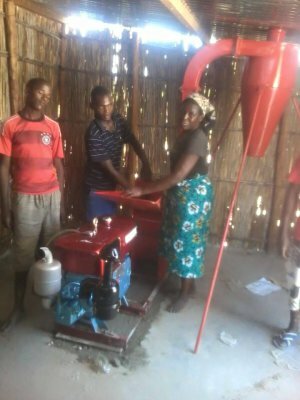 We are really excited to report that we have been able to supply and install a maize grinding mill for the village of Chirualla and surrounding area. In 2015 we received a generous donation from one of our lovely supporters which allowed us to purchase the machine. In December 2015 the mill was brought from Maputo to Vilanculos and then transered by 'bakkie' (local truck) to Chirualla. Bento and Teresa organised the village in installing the mill (which is diesel powered) and finally were able to commission the unit and produce its first flour. We have just heard that our friend Rosa's house and kitchen has burnt down. Please pray that this is sorted out asap. We were visited by a team from the UK, who spent 2 weeks with us ministering in the villages. Karen and Danny along with Penny and Adrian joined in with childrens work (singing, dancing and Puppets) as well as the more regular work of bible teaching and health care. The team also brought along hundreds of tooth brushes to give away and Penny, who is a Dental Nurse in the UK, gave some basic dental hygiene instruction to a number of villages.